The Birmingham-based same-day delivery service Shipt is expanding in its hometown. Shipt announced plans this week to become the anchor tenant of Birmingham’s tallest skyscraper, Wells Fargo Tower, which will soon be renamed as Shipt Tower. Located at 420 20th Street North, Shipt plans to renovate the building as the company continues to grow following its $550 million acquisition by Target last year. 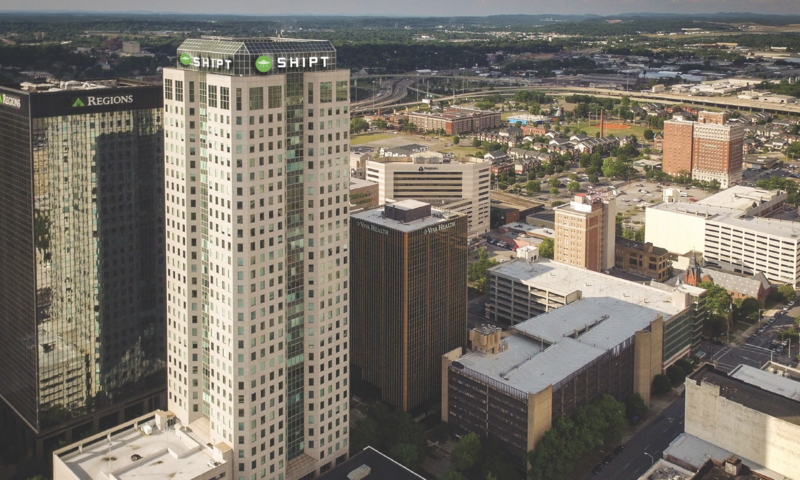 Shipt’s plans to expand into a new Tower comes after the July 2018 announcement that the company would remain in Birmingham and create an addition 881 jobs in Birmingham’s largest city. In just three years — from 2014 to its sale to Target last year — CEO and founder Bill Smith built a company to offer more efficient same-day delivery of groceries. The company quickly became a hit among locals who enjoyed the convenience of the quick delivery. Since then, the service has expanded to more than 250 markets across the country, and Shipt opened a second office in San Francisco. Its headquarters, however, remain in the John Hand Building in downtown Birmingham. Target acquired the company in 2017, and throughout 2018, Target and additional retail partners expanded into Shipt’s online marketplace. The service offers personalized grocery delivery to members for $99 a year.